1. 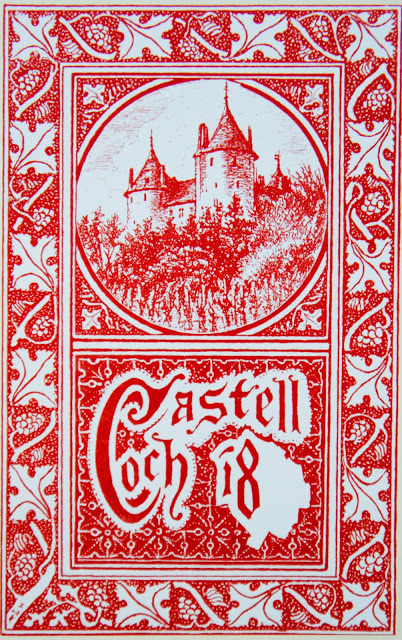 Castell Coch had the first commercial vineyard in Great Britain. 2. Merthyr Road used to be called North Road. 3. 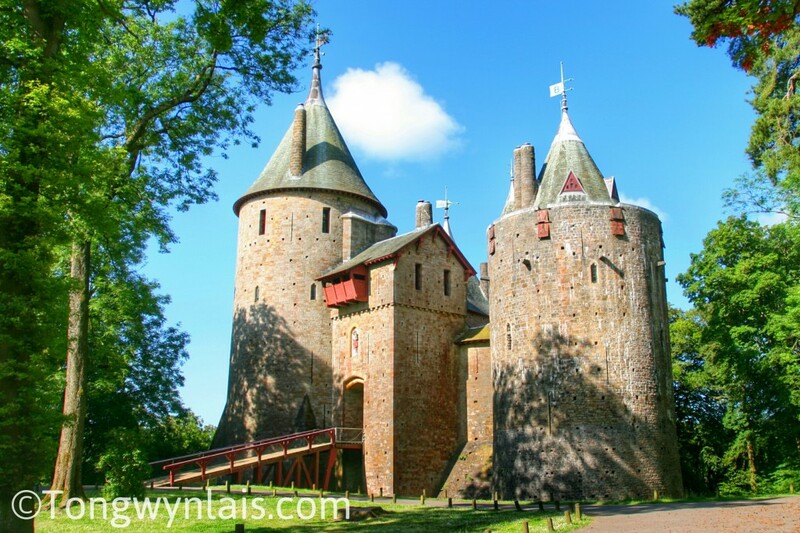 Castell Coch has been featured in many films and TV programmes, including several episodes of “Doctor Who” and 90s TV show, “The Worst Witch”. 4. The “Iron Bridge” is made of steel. The original was swept away in 1877. 5. 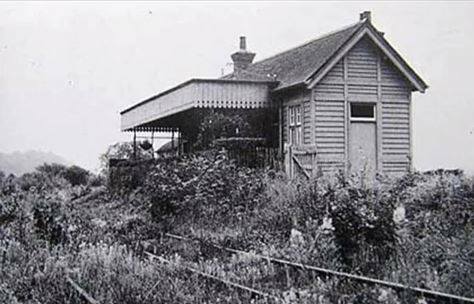 Tongwynlais railway station was only in service for 20 years. 6. 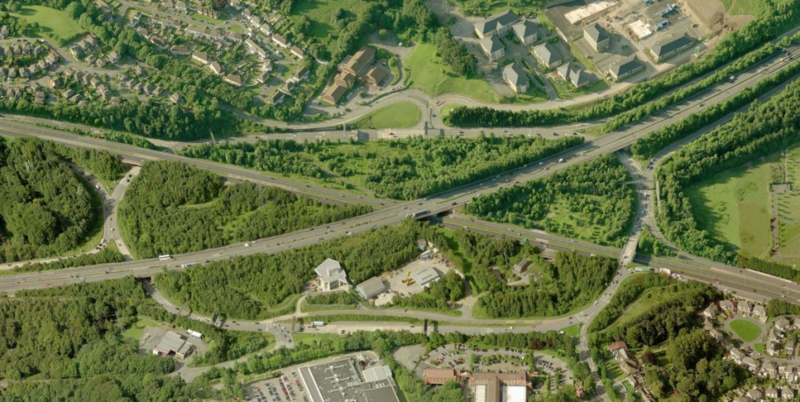 Coryton’s triple-decker gyratory is the largest roundabout in the UK, with a circumference of 1 mile and an area of 12 hectares (30 acres). 7. 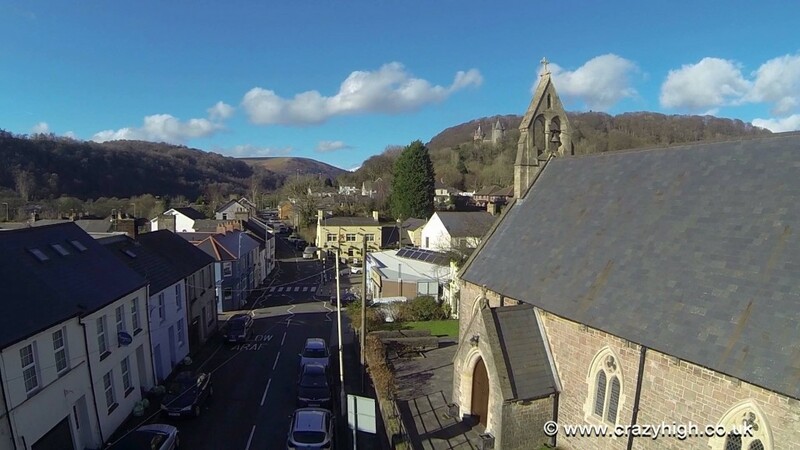 The Tongwynlais Temperance Silver Band was formed in 1888. 8. 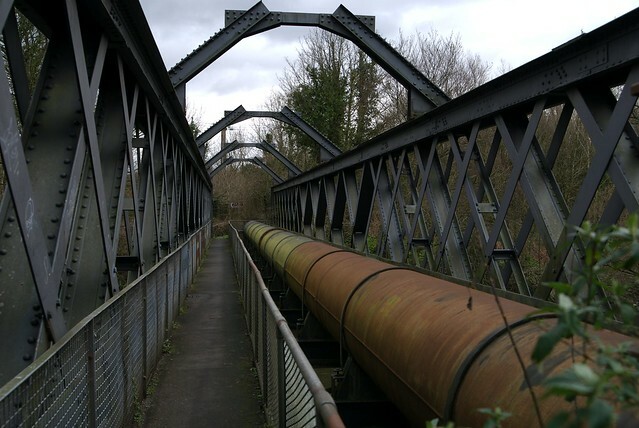 The last remaining example of a cast iron boat weighing machine was originally used in Tongwynlais. 9. Jay Pepper from Welsh glam metal band Tigertailz is from Tongwynlais. The band wrote a track called “Tongwynlais Fly”. 10. In 2010, 51 visitors were trapped inside Castell Coch for over 3 hours when a cherry picker caused the drawbridge to collapse. 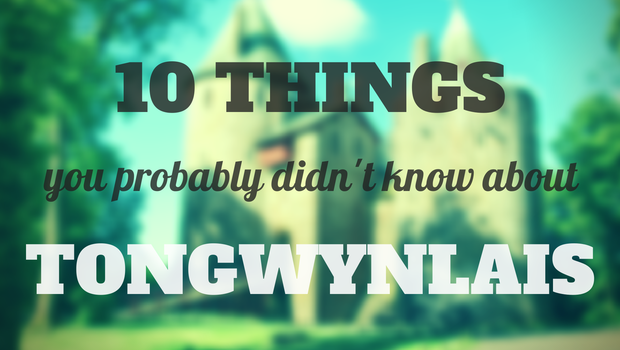 Do you know any Tongwynlais trivia? Get in touch and let us know. thank you for all the information on the Jag, very interesting and hopefully will be able to fill in some gaps. I have forwarded all the information to my father, Gareth, and will hopefully get a response soon. G’Day Darren, it is great to hear from you as the grandson of the original owner of my E Type. I found out that your grandfather brought the car new from the Heritage Certificate that I was able to get from the Jaguar Daimler Heritage Trust. The car was delivered new to MR W R Roberts and Sons at Howells Garage, Cardiff. It was dispatched from the factory to Howells Garage on the 22 March 1971 and your Pappee would have picked it up shortly after. It was British Racing Green with a suede green interior. It is now red with a light grey interior. It was originally registered DTG 175 (Glamorgan). I would love to know anything that you can find out about the car, in particular when it came to Australia, also the person who owned it after Bill Roberts if that is possible. I have tracked it back to 1982 in Perth, Australia but there is a gap in the information from when Bill sold it to that time, I would dearly like to find out all its history. The car is in very good condition, I spend a fair bit of time looking after it. It still has the original engine and gearbox fitted. We have a Jaguar Car Club display day next Sunday on the foreshore of the Swan River in Perth and the car is entered in the E Type Judging competition. I would send you a few pictures of it that I took yesterday but I cannot seem to attach them to this reply, I will get one of our kids to see if she can do this for me! To me cars are almost a living thing and it will exist long after we are gone so it is important to put together the history of this special car for others enjoy; knowing its history sort of brings the car alive. I am the grandson of W R ‘Bill’ Roberts. I remember as a young child all the flash cars Pappee Roberts including his bright red Triumph Stag. If you want to contact me please feel free to do so. Hi Geoff Mr Bill Roberts is no longer with us. Believe he passed away in the late 70’s. The dairies are no longer there they are now residential properties. Can remember him driving a few Jags unable to provide you with any more information but do remember him buying them from new. Hi Andrew, thanks for the comment. Where were the dairies? I’d love to find some photos. Andrew, thanks very much for your reply to my querie in my search for the history of my E Type. ( I did not make the earlier reply, don’t know who that was). Regards, Geoff.-Perth WA. Hi Geoff. I posted your query on our Facebook page. We had a few replies that you might like to follow up if you’re on Facebook. Hello Geoff, my brother-in-law is David Roberts, son of Bill. He is in very poor health right now, but I have managed to ask about the car. Unfortunately he can,t remember about the history of it except that it was beautiful, green and had a large engine. Bill apparently sold it as his bowling mates complained that there was not enough room in it to take them all to matches etc! I remember the car as a little girl, it stood out like a sore thumb as it was so posh. David bought a white one later and used to take me for a spin, I thought I was a princess! Sadly Bill passed away many many years ago so i’m sorry i can’t help any further. Should my bro-in-law remember anything else i’ll let you know. Best regards Mandy Tomlinson. Hello Mandy, thank you so much for your message, I very much appreciate that you took time to speak to David Roberts about his Dad’s E Type and to get back to me. I am sorry to hear that David is in poor health. It is so interesting to me just to hear a little about Bill when he bought it and that David and you remember the car, it sort of brings the car alive to learn a little of the people who owned it and who remember it about forty four years ago. It still stands out like a sore thumb and turns heads when I occasionally take it for a run, the E type really is a lovely car and this one is in beautiful condition, I have recently been doing a fair bit to the engine including having a range of components in the engine bay chromed, yesterday I gave it a full polish, there is not a mark on it and it looks a picture. It is now ‘Jaguar red’ it was repainted by the chap who owned it before me. Please pass on my thanks and best wishes to David when you see him next and thank you again Mandy. If you ever come to Perth WA please let us know, we would love for you to see the car again and I would like to take you for a run along the coast in it. Kind Regards, Geoff Neil, Ocean Reef WA.